Why Wiang Kum Kam is special ? What to explore at Wiang Kum Kam? Tours of Wiang Kum Kam city on trams or horse-drawn carriages are available. The tour lasts in 45 minutes and covers 10 main historic sites, namely Wat Chedi Liem, Wat That Noi, Wat Chang Kham, Wat That Khao, Wat Phaya Mengrai, Wat Phrachao Aong Dam, Wat Ku Paa Dom, Wat Nan Chang, and Wat I-kang. You will be charged 250 baht for horse carriage service, 15 baht for an individual tram ride, or a flat rate of 400 baht for the whole tram. Visitors can enjoy Northern Thai meals served on wooden utensils and watch the presentation of local wisdoms. Should you have any queries, please call 08 6193 5049. Moreover, there is an attempt to promote Wiang Kum Kam as a cultural hub of the community and a center for sustainable tourism. There are art and cultural performances, walking street and sale of cultural products on Fridays, Saturdays and Sundays from 8.00 – 22.00. For further information, please contact Wiang Kum Kam information center at 0 5327 7322. How to get to Wiang Kum Kam? 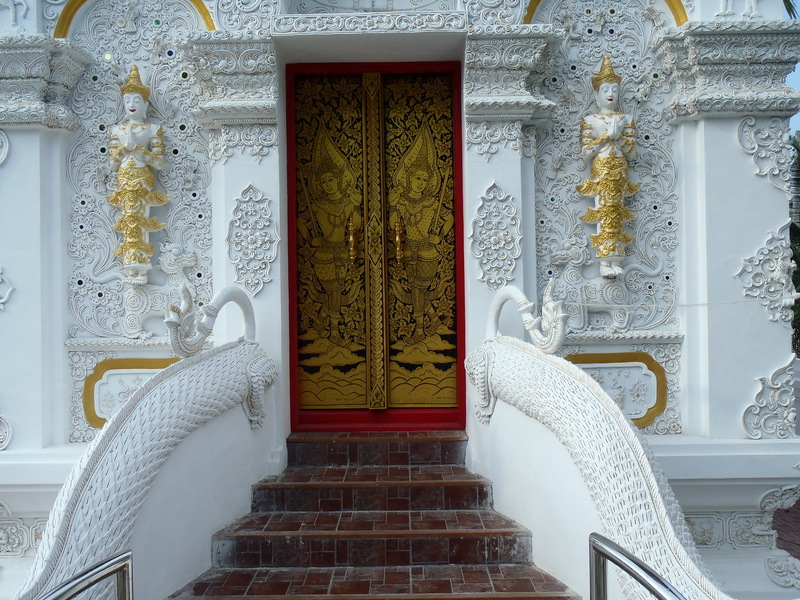 Wiang Kum Kam is situated in the southeastern of Chiang Mai, i.e. between KM 3 – 4 on Chiang Mai – Lamphun Road which is in Tha Wang Tarn subdistruct, Saraphi district, Chiang Mai province. The city is located on the east bank of Mae Ping River. To get there, go straight from Nong Hoi security kiosk until you reach the intersection near Pa Kluay street isle. Keep going until you find Chedi Liem. It would be difficult to fully understand the history of the old city and how it was abandoned, without a knowledgeable local guide. We visited Wiang Kum Kam (or The Lost City) for about 30 to 40 minutes one morning. I do wish we had put aside longer to simply look and wander as a lot of our time was spent in a car with our guide simply pointing out things. This was not his fault as I did not realise how long I would have liked to have spent there. I do recommend a guide though as otherwise it is probably a batch of ruins. With a guide we had the advantage of knowing things about the surrounding neighbourhoods, the structures and layout etc. One thing that did bother me. Some of the horses were thin to the point you could see every single one of their ribs. Please think very carefully before engaging in animal tourism, especially when it was quite obvious these animals were very underweight and spending countless hours pulling carts around. If you have a limited time in Chiang Mai you can skip this. If you have more time up your sleeve this is well worth a visit. I'd eat and go to the bathroom before attending. There are some temples that are still operational but most of the infrastructure is in ruins.